SHE WAS A FORMER OIL MINISTER IN NIGERIA. SHE WAS THE DISGRACED EX-PRESIDENT OF THE ORGANIZATION OF PETROLEUM EXPORTING COUNTRIES, OPEC. As at today, the name DIEZANI ALISON-MADUEKE is synonymous with kleptomania, a medical psychiatry, an impulse control disorder that made people to find it difficult to refrain from stealing. Alleged stolen properties acquired by Diezani over a period of some years has been estimated at over Forty Five Million pounds sterling. These properties had been ordered seized by Nigerian court. It is on record that a Nigerian court has ordered the seizure of 56 properties linked to the country’s former oil minister, who is facing corruption allegations. These expensive mansions are penthouses and flats in Lagos, Abuja and Port Harcourt worth between £5.5m and £17m, going by housing market values. To cover her tracks, Diezani occasionally bought few of the buildings, while she position her cousin, Donald Chidi Amamgbo to front for her as owner in other houses bought by the latter. In a bid to get to the bottom of this matter, Nigerian and foreign anti-corruption investigators found documents at Amamgbo’s office that suggested Diezani’s cousin owned 18 companies, properties in Britain and the US, a court has heard. Amangbo confessed to Nigeria’s Economic and Financial Crimes Commission, EFCC that the companies had been registered to hold property on Alison-Madueke’s behalf. For the records, the 56-year-old, who was also the first female president of OPEC, was arrested and bailed in London in October 2015 as part of a British police investigation into corruption. Last month, a court in south London ordered a freeze on five upmarket properties in the British capital linked to Alison-Madueke and a number of her associates. Two properties listed in the case were sold in 2015 for about £7.5m before action could be taken. 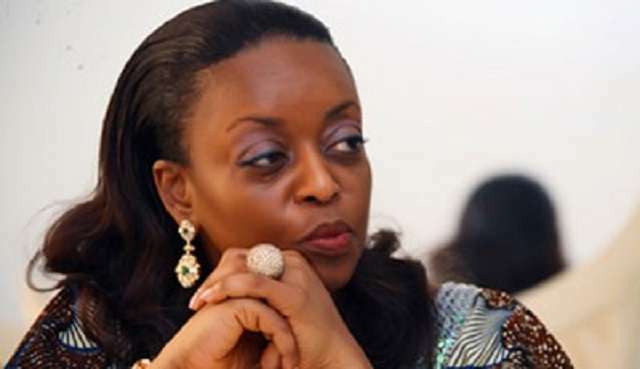 In August, another Nigerian judge ordered the confiscation of Ms Alison-Madueke’s £28m luxury apartment complex in the upmarket Banana Island area of Lagos. The previous month, US authorities announced they had started proceedings to seize£110m of assets belonging to associates of the former minister. Among them were an £61m superyacht and a £38m luxury apartment in New York allegedly bought with the proceeds of suspect oil contracts awarded by Alison-Madueke. She was oil minister between 2010 and 2015, when former president Goodluck Jonathan’s administration was dogged by corruption allegations. She denied wrongdoing when it was claimed that £15bn of oil money had gone missing when she was in office.